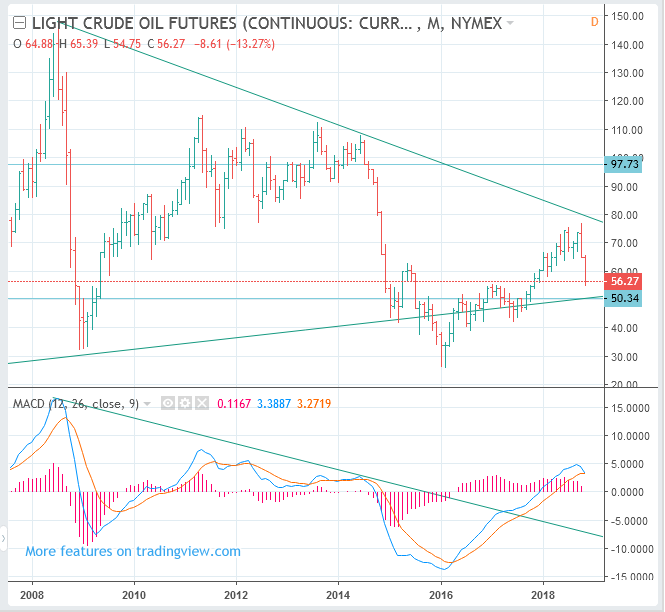 Crude oil prices have declined very steeply and there is a possibility that it could fall to $ 50 per barrel. I do not know if it has hit the bottom yet. There are two things we can think about right now. One is to wait until the bottom is made. Second, there is the possibility that the oil price will skyrocket into the sky at any moment. The international situation is very unstable. Something huge seems to be coming. It seems to be the best way to wait, not to enter the market.